Thirsty Pilgrim: Moeder Lambic and Cantillon Add to ZBF Weekend Festivities. Moeder Lambic and Cantillon Add to ZBF Weekend Festivities. You may already know that Cantillon usually holds its semiannual public brew session on ZBF Saturday, March 6. But now you also know this: To honor Cantillon and its fans, Moeder Lambic Fontainas is organizing a mini-festival of sorts all weekend long. 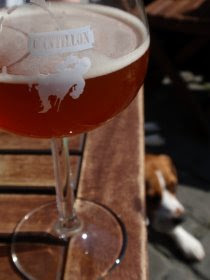 The main attractions are the following lambic stars on draft: Lou Pepe Kriek and Kriek Cuvée Moeder (cherries), Rosé de Gambrinus (raspberries), Vigneronne (white muscat grapes), St. Lamvinus (red Merlot and Cabernet grapes), Iris (dry-hopped), Cuvée des Champions (dry-hopped), Zwanze 2008 (rhubarb), and Zwanze 2009 (elder flowers). Plus, maybe, another surprise beer. That doesn't include the Gueuze Cantillon, which is always on tap there, or the kriek, faro and unblended lambic from the handpumps. UPDATE: According to co-owner Jean Hummler, most of that joyous lambic tappery will begin Friday. Only the Zwanzes and the surprise batch will wait for Saturday. So, fest-goers, plan away. ANOTHER UPDATE: Scratch that Friday business. Now the lambics will be flowing from the fountains on THURSDAY. ahhhh....you are luck man indeed. Tip a glass for me while your at it. Have fun and say hello to the Mrs. and the lil one. I heard this when I was there on Saturday. Really annoyed that it is on a weekend when I´m in Sweden. Wow, just when you think it isn't possible to fit anymore amazing beer into a weekend... might have to try for this on sunday. It will be an epic couple of days. Sven: For me it's a tie with ML St-Gilles. I've heard some complain about the lack of comfort at Fontainas, which is fair, but for that draft beer list I'd go and sit on the floor. Maybe bring my own blanket to sit on. Mike: No doubt. See my latest post on the creep of ZBF weekend... A welcome development. Wow, what a great reason to visit Brussels that weekend! 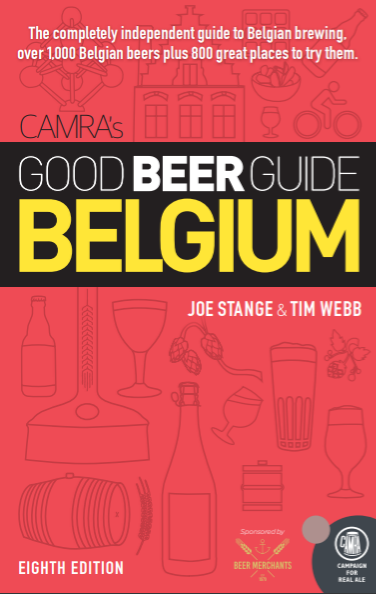 Looks like I will spend my Thursday at the pre-ZBF Whisky and Beer night, then Friday at pre-ZBF, Saturday and Zythos and Bruge Beertje and then maybe Sunday at Cantillon and Moeder Lambic...man I love Belgium! Greg, note that Cantillon is closed Sunday; the public brew session is Saturday. However the beers should still be at ML unless they're all drunk up by then (seems unlikely). Why did I schedule my first visit to Belgium the week after the festivals? Will there be any beer left?